Home » Team » Kent Sezen, P.E., S.E. Mr. Sezen with more than 20 years of experience is responsible for managing structural related projects for SRI. This includes seismic calculations for treatment tanks and systems, Piping racks, earth retaining and mezzanine structures. Mr. sezen is also responsible for field inspection of anchoring systems for wastewater treatment systems, as well as any supporting structures and foundation. Mr. Sezen has also worked for City of San Jose, California as a plan checker where he performed structural and life-safety plan checks for large projects. Mr. Sezen is familiar with States and local codes such as CBC2007/2006 IBC; AISC-LRFD/ASD and Seismic; ASCE/SEI 7-05 – Minimum Design Loads for Buildings and Other Structures, AISC – LRFD/ASD Steel Construction Manual, AISC – Seismic Design Manual, FEMA 350 – Steel Moment Frames, ACI 318-05 for Concrete Structures, ACI-530 Masonry Structures, and 2005 NDS for Wood Structures. Mr. Sezen also is responsible for performing • ROBOT – 3D Finite Element Modeling Program by ROBOBAT and Mathcad for our projects. 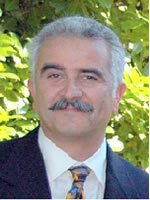 Mr. Sezen has participated in Ph.D. program in Civil Engineering with structural emphasis in UC Davis. 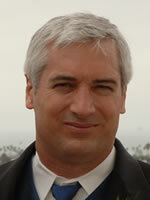 He has a Master of Science in Civil Engineering with structural emphasis from San Jose State University. 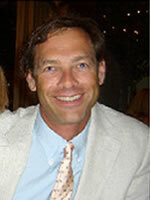 He also has a Bachelor of Science in Architectural Engineering from Cal Poly. 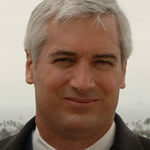 He is a registered professional engineer (C42933) and a registered structural engineer (S3716) in State of California.